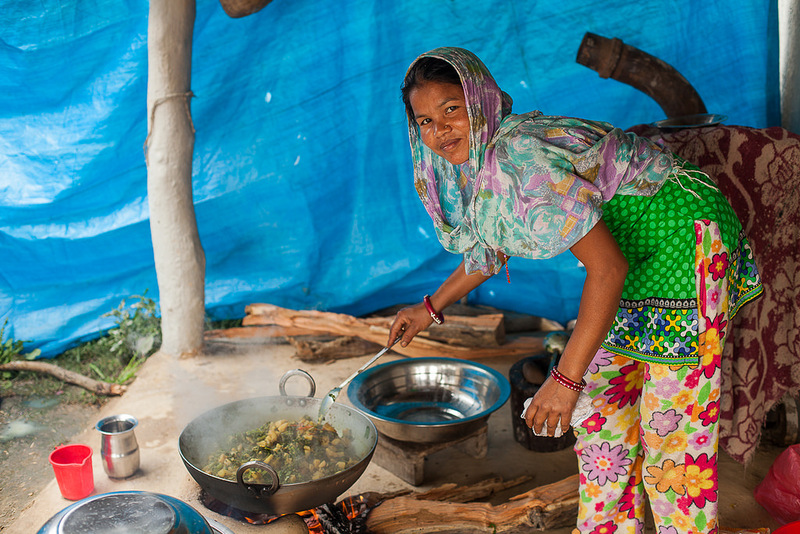 This World Food Day, buildOn stands united with people across the globe working to eradicate hunger and poverty. Today, 805 million people around the world live in chronic hunger1, including 1 in 7 people in the U.S. who struggle every day to get enough to eat.2 But there is hope in service and education – the keys to reversing these statistics. With education, people living in poverty are better equipped to feed themselves and their families, and parents are able make healthier nutrition choices for their children. Today, more than 100,000 people are attending 780 buildOn schools in seven economically impoverished countries, getting the quality education necessary to escape poverty and hunger. It’s not just children either; through buildOn’s Adult Literacy Program, thousands of parents and grandparents are getting a chance to receive the education they were denied as children. At the end of the program, adults organize community projects like goat rearing and and school feeding programs that generate food and income for their villages. In the U.S., where 46.5 million Americans (including 12 million children and 7 million seniors) live in food insecure households,3 hunger is a very real problem for far too many. Youth serving with buildOn’s Service Learning Programs identify hunger, food insecurity and food deserts as some of the most pressing issues in their underserved communities. These students, many of whom have faced hunger themselves, have been empowered to help their hungry neighbors. 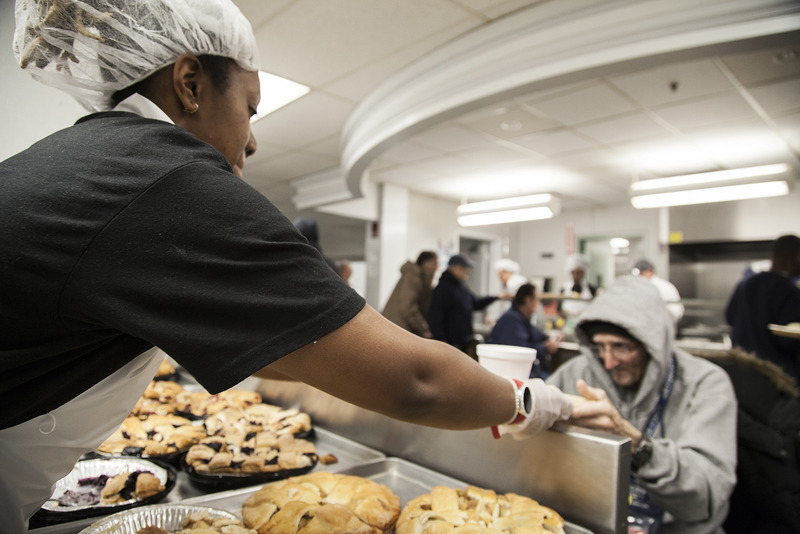 They’re serving with community partners in food pantries and soup kitchens, growing vegetables in community gardens, and even taking food directly to vulnerable people living on the streets. Students from Benito Juarez Academy help clients gather food at the St. Pius food pantry on Chicago’s Southwest Side. 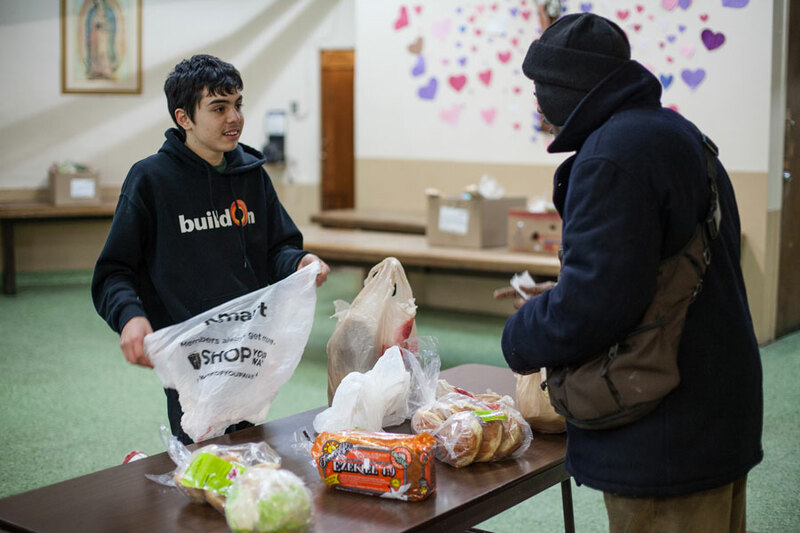 Through partnerships with community organizations, buildOn students are helping to feed their hungry neighbors. Many women and girls in developing countries spend several hours cooking each day, a situation that keeps many from school. When buildOn constructs schools with communities like this one in Nepal, the village commits to sending girls to school in equal numbers with boys. 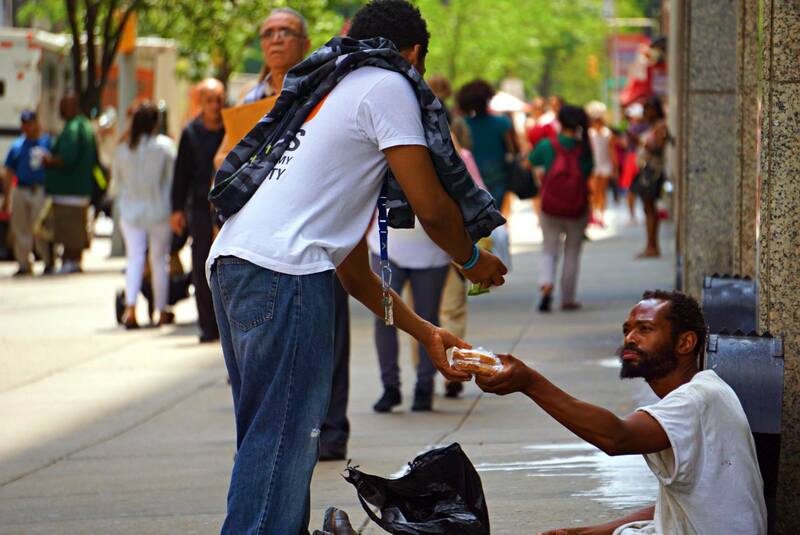 Students from the Bronx spent part of their summer making sandwiches and handing them out to homeless people they encountered on the streets of Manhattan. 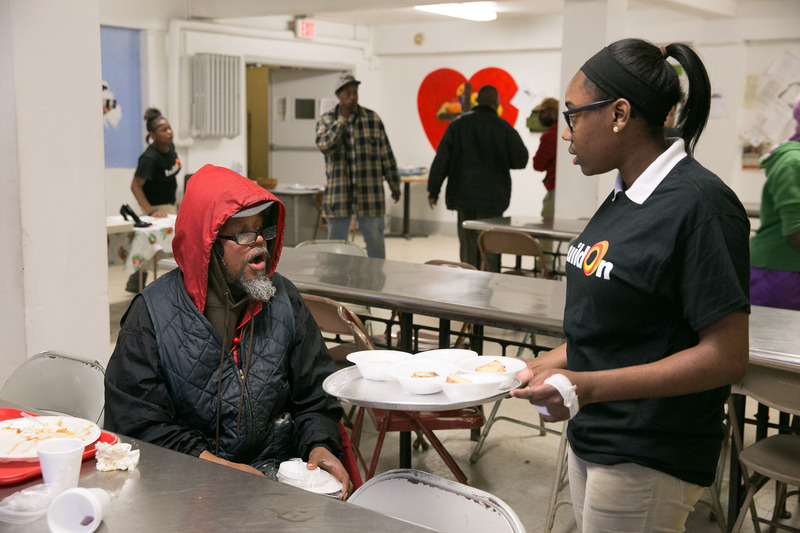 While most homeless people experience hunger, not all of America’s hungry are homeless. On school building trips in developing countries, buildOn volunteers live with and eat with host families, experiencing the challenges of every day life. 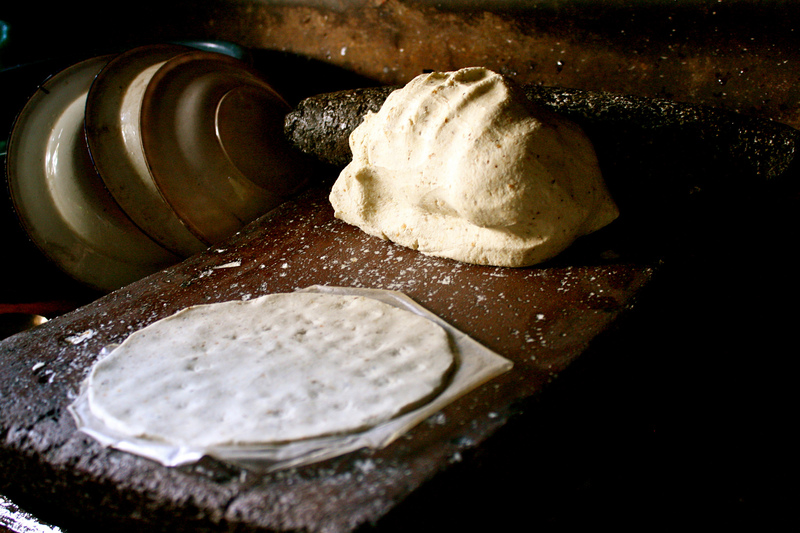 Cultural immersion often involves cooking food together, like these tortillas prepared in Nicaragua. (Pictured at top): A woman in Malawi prepares Nsima, a food staple made from ground corn and often eaten for breakfast, lunch and dinner. Photos Credits: Braulio Acuria, Esther Havens, Mason Marino, Michael Sackett and Srijan Tamrakar.